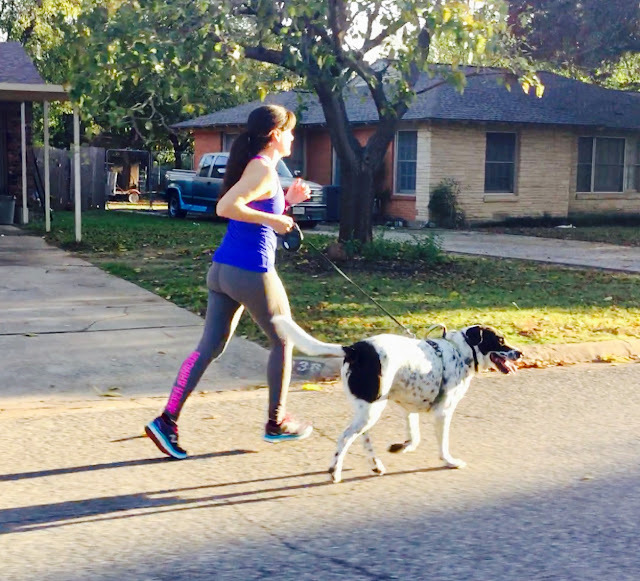 I have the best running partner. 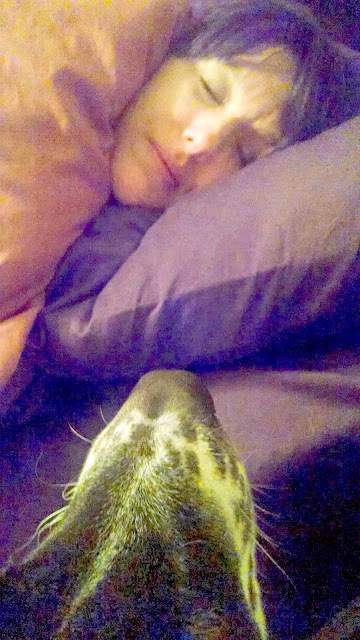 He never hits snooze on those early morning runs. He never cancels. He is always enthusiastically ready to run. His schedule never gets in the way of our runs. He never complains. He never talks my ear off and he always listens when I talk. He is perfectly content with running in silence. He always strives to protect me against the potential dangers on the road: people, dogs and especially those pesky squirrels. He doesn't care about pace. He'll go as fast or as slow as I want and he loves Fartlucks. "Hey, a squirrel, let's run fast to catch him! Hey, this tree smells interesting, let's stop and check it out." Ollie is my running buddy. We are healthier together. We live a physically active lifestyle together. I am a running coach and a dog lover. 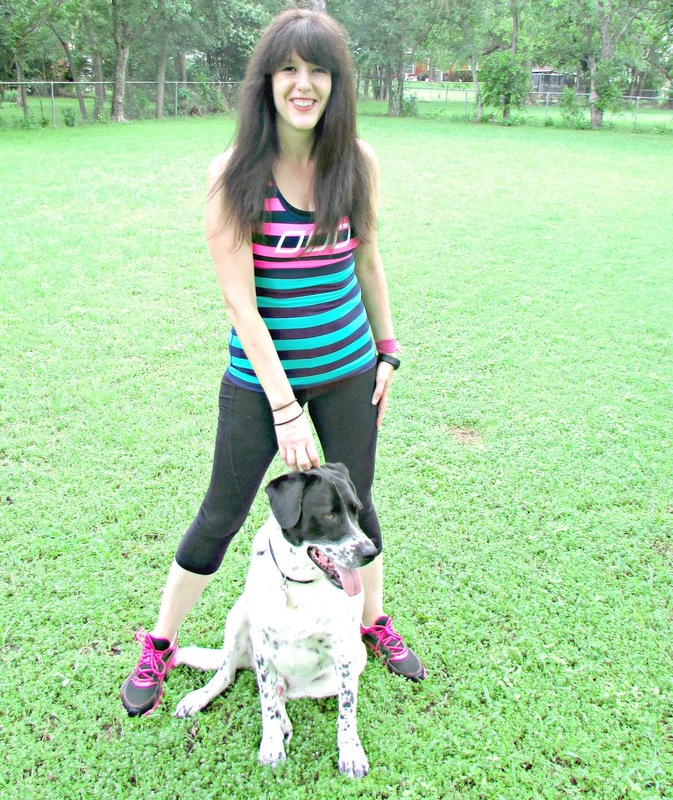 Running with your dog is a great way for you both to stay fit and healthy. Remember the first time you hit the road for a run? 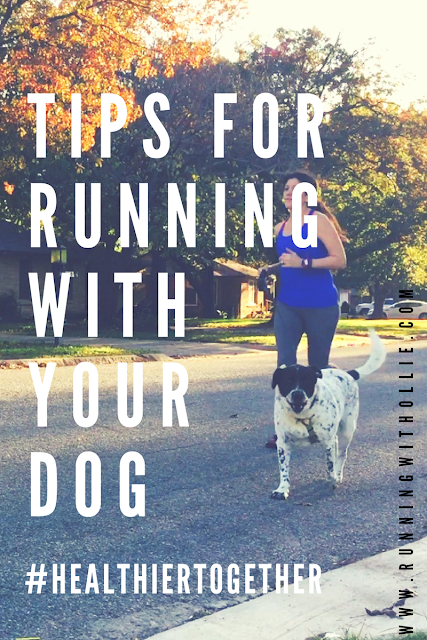 You didn't run three miles on your first time out and neither should your dog. Just like a person, a dog needs to adapt to fitness. Start slow. Take your dog out for a half mile at first, build to a mile and then build from there. Try a walk/run regimen at first. If I am on a long run, I might take him for a three mile loop or two (he is conditioned for that) and drop him off at home while I continue my run. 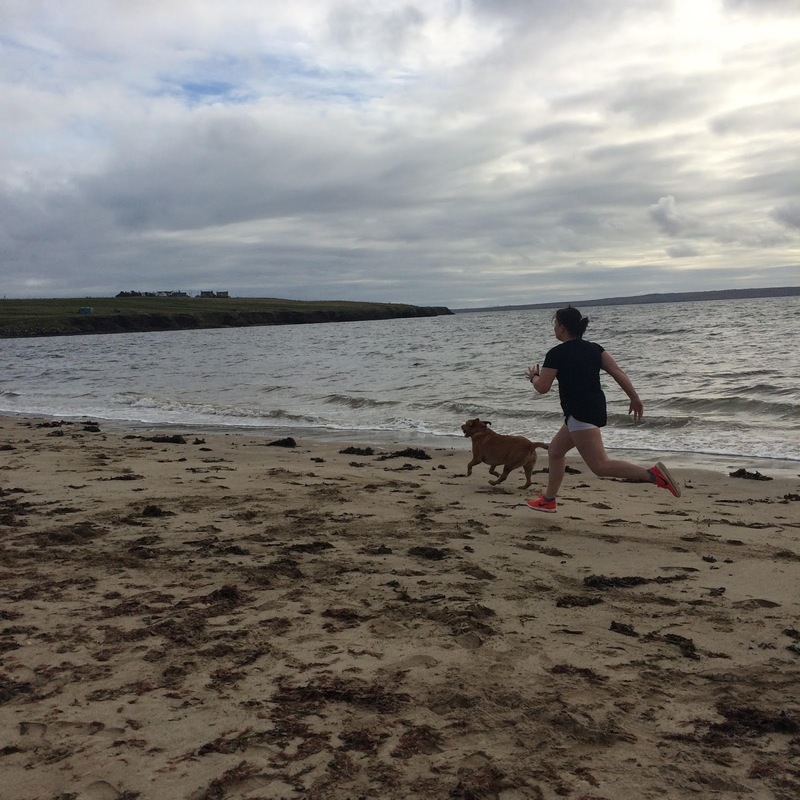 Is Fido Fit to Run? You have those fancy running shoes, your dog's paws don't have the rubber soles to protect from the heat. Before you run on the street in the scorching heat, place your bare skin on the cement or asphalt. If it is too hot for you, it is probably too hot for him too. Dogs will need to be acclimated to running in the heat, just like you. Hydration is important for you and is just as important for your dog. I bring water for Ollie on our runs or I plan our runs past a park or school water fountain. If I see signs of over heating like panting excessively, I let him lie in the shade to recover. His safety is always more important than my run. Don't be that person who lets your dog poop in the neighbor's yard. Be prepared with plastic bags and do the right thing...clean up after your running buddy. Your dog probably doesn't need to run a half marathon. 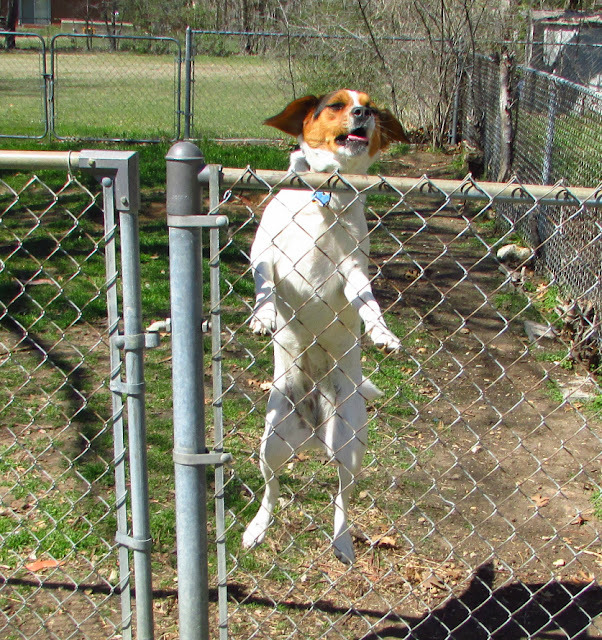 (Some dogs may be trained for it, but you certainly can't expect it right out of the gate.) 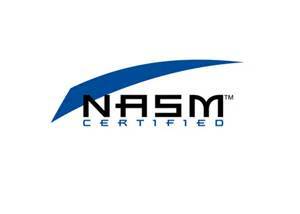 Too many miles can cause too much stress on his body if he is not properly trained. 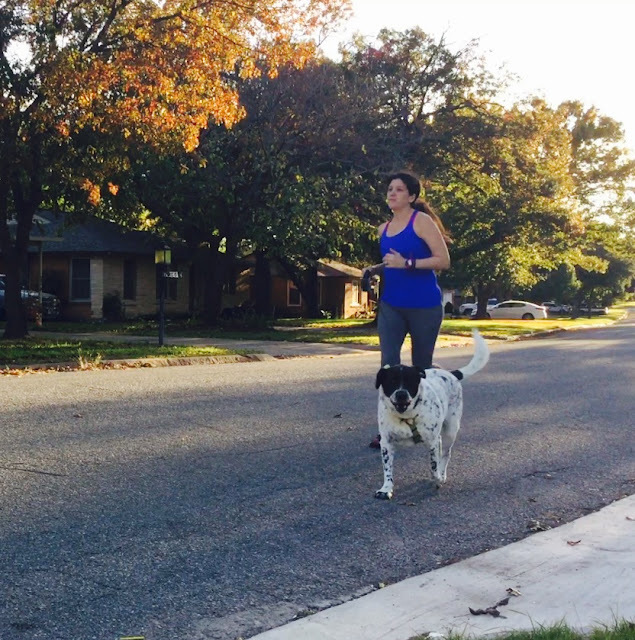 Keep the runs with your dog short and sweet. 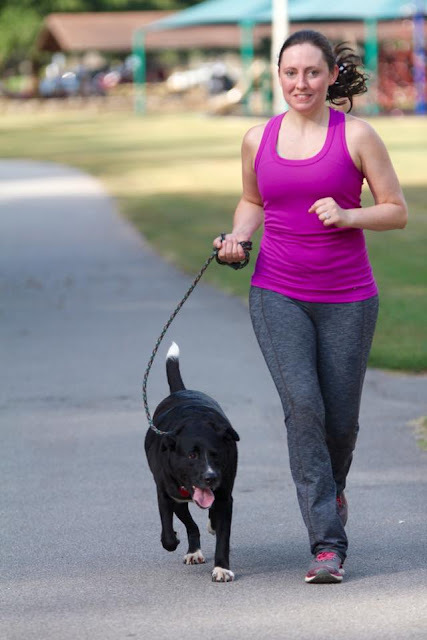 A 30 minute run/walk will give your dog a great workout without taxing his body too much. No matter how well-behaved your dog is, please always run with a leash. There are too many unknown factors that can change the situation in a blink of an eye. Stay in control with a leash. 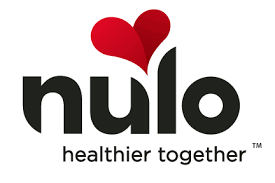 Read about Ollie's take on Nulo, he wrote a guest post! Do you run with your dog? I love to see pictures of you and your favorite four-legged running partner! Share on Twitter and tag me @leagenders and @nulopetfood or on Instagram @runningwithollie and @nulopetfood. We'd love to see your furry-faced friends! Ollie would say bye, but he's busy. 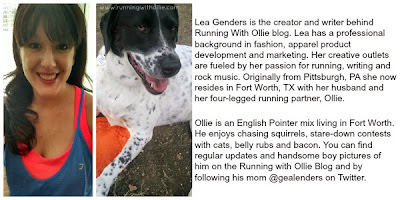 Welcome to the latest edition of Furry Friday Feature when I introduce you to the cutest four-legged runners on the internet. 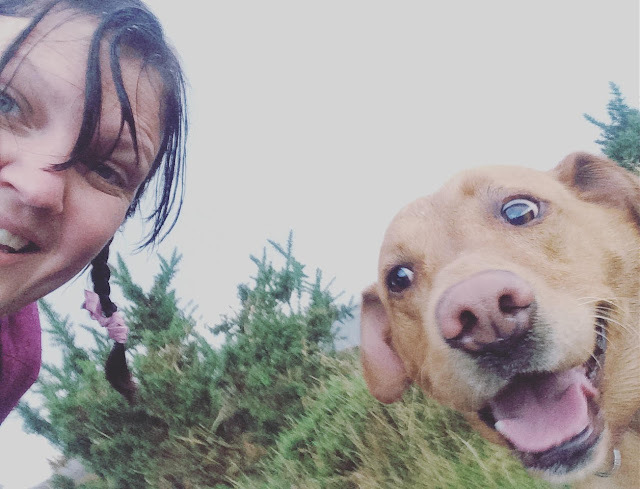 This week I am thrilled for you to meet Mairi and Luna from the Isle of Lewis off the west coast of Scotland. 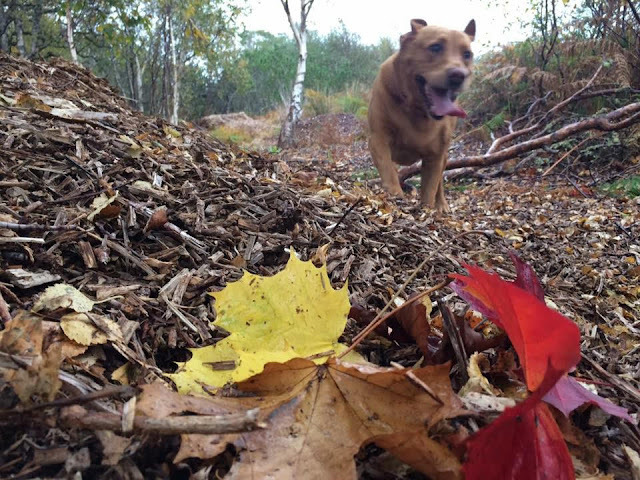 My lovely running buddy is such a sweetie :) She is a 6 year old fox red Labrador called Luna who is such a happy girl. Have you ever raced with Luna? I haven't raced with her but would love to do a local 5K together . Running Moments that made me proud are completeing the London marathon, the Isle of Skye half marathon and some local 10K's :) I also have 3 fantastic children that make me proud daily. Tell us a funny story about Luna. Luna loves when I practice planks in the living room . She always tries to crawl under me and wags her tail. Needless to say I never maintain them for long. Dogs teach us to run happy and enjoy every minute . Take time to stop and look at the view once in a while. 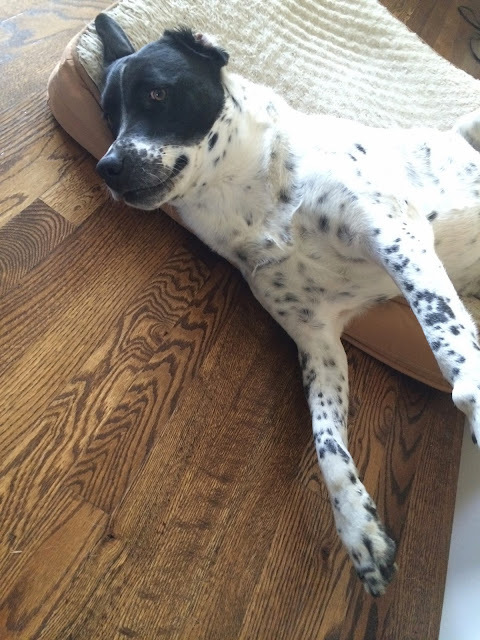 Thank you so much for including our Luna in the Furry Friday Feature, she's delighted. Friends. This is what Furry Friday Feature is all about. This is the dog love that makes the world go 'round. 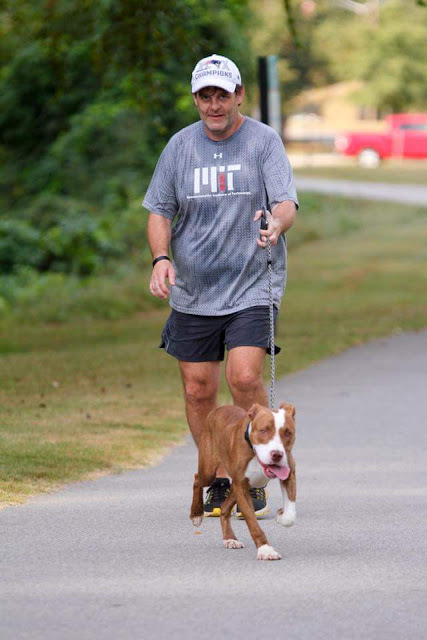 I am so proud and honored to share the the Greenville County Animal Care's Jog With A Dog program with you for this extra special Furry Friday Feature. 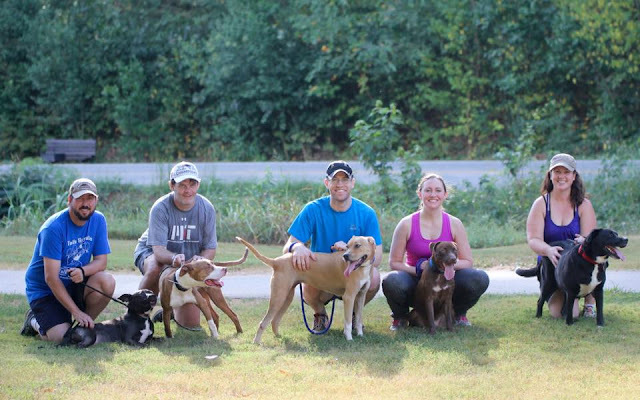 Greenville County Animal Care's Jog With A Dog program takes high energy shelter dogs to a local park for exercise and enrichment. 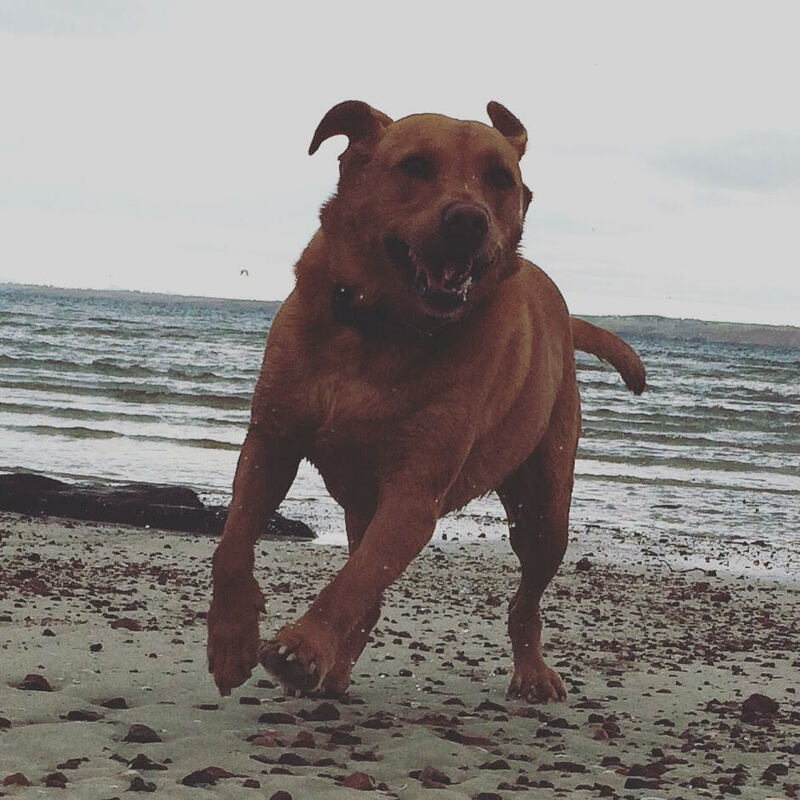 We take dogs of all breeds and ages as long as they love to run and meet new people. We run at a local park near downtown Greenville that popular with local runners and triathletes. 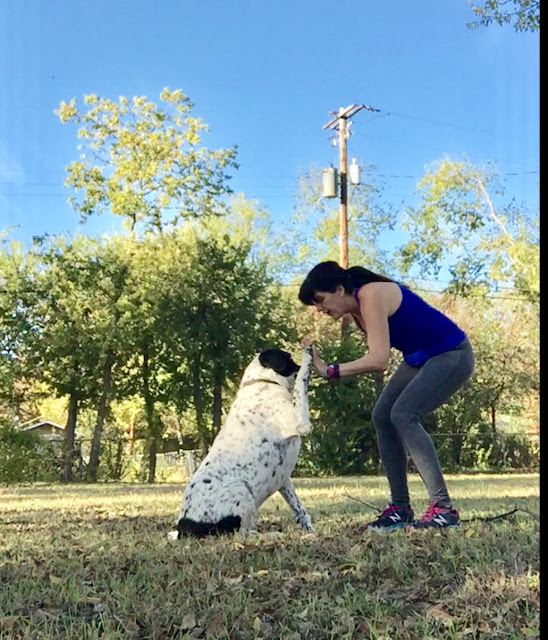 It has a great running path and allows us to give the dogs some extra exercise and put them in front of the people that might be most likely to want a dog with higher energy. 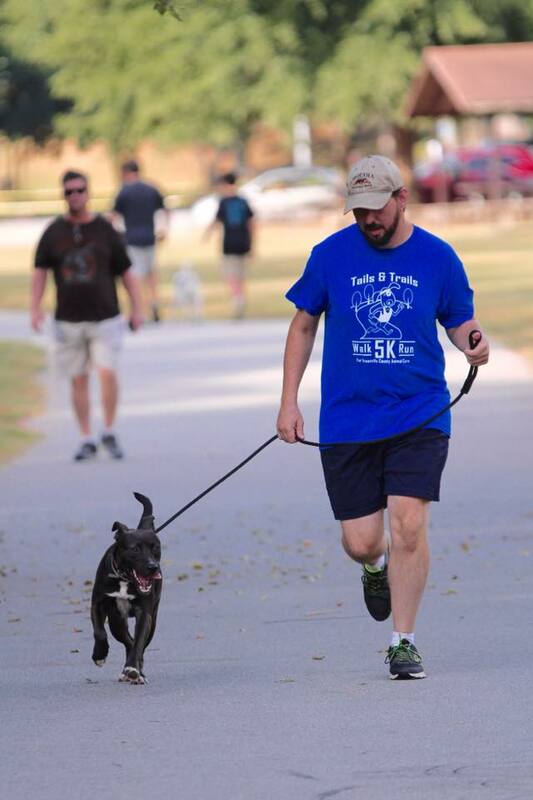 Animal Care organizes an annual 5K dog friendly race. Every year I pick a shelter dog and run. The first year we put a gopro on the dog and we were the top male finisher. This year the entire adoptions team picked a dog and entered the race. 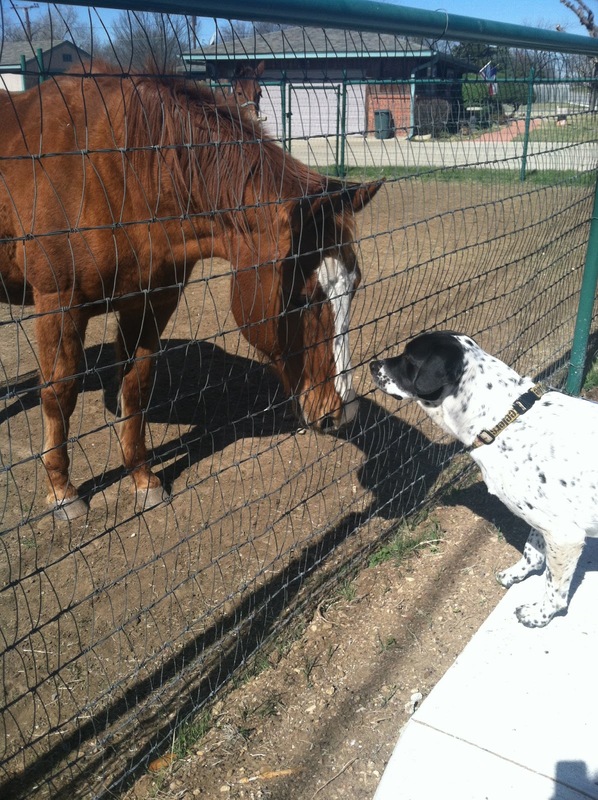 On one run I took a little cattle dog named Leah. She was full of energy and wanted to run and play with dogs all day but was not so great at listening or cuddling with people. I watched her go from very fast, independent dog to one that listened very well to anyone she bonded with and ended up being a huge snuggler! I paired her with a foster that could continue this bonding and we had her adopted in no time! Before the running group she would be very hard to get adopted. The dogs we run with are usually the most stressed dogs in the shelter. When they are out running you can watch the stress disappear. They are just dogs doing what dogs love to do. People need to also find something they love to do (for me its running) and let themselves escape the day to day stresses of life for a while. Please friend, follow at https://www.facebook.com/gcanimalcare/ to support this cause. 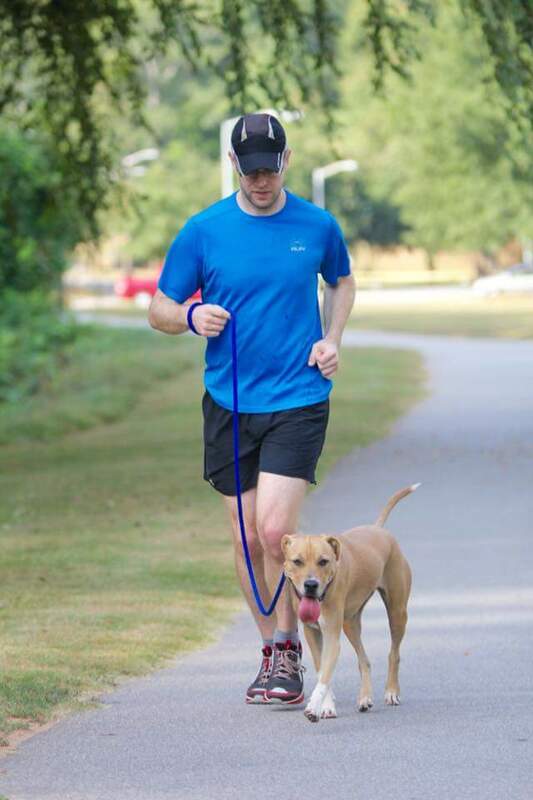 The Jog With a Dog program at Greenville County animal Care has been immensely beneficial in getting the large, energetic dogs adopted and has helped us on our path to create a no-kill community in Greenville SC. Hi, friends! 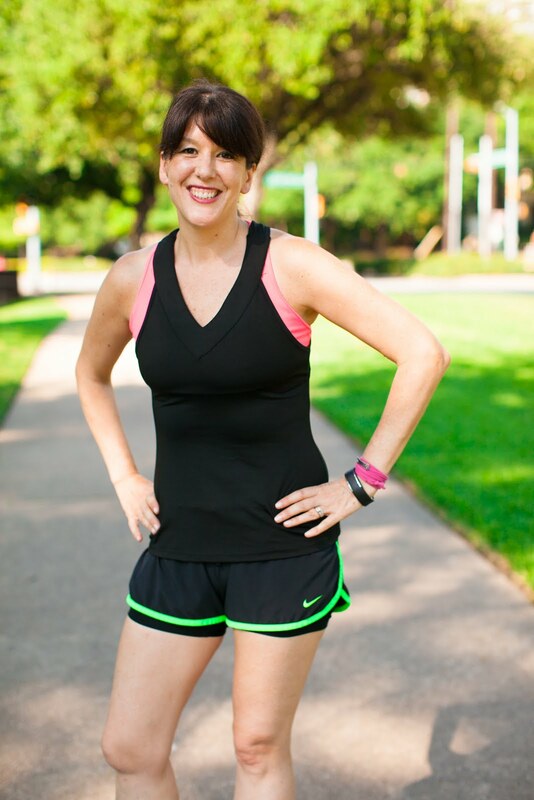 It is my five year fitness blogversary this month! On January 4th 2009 I officially started this blog. It didn't have a blog name, just my name stretched across the top. I didn't know anything about blogging. I didn't even know that there was anything to know about blogging. I was blissfully unaware. I just opened a free blog account and started writing. My first post ever was a year-in-review of 2008 which was mostly pictures, something I still do every year. I like to look back on my year and remember the highlights. I read that first post from 2009 and realized that I ran my first 5K in 2008. Blogging is cool. This wasn't even a fitness blog at first. I just blogged about whatever was on my mind. I didn't have an editorial calendar, a mailing list or the realization that those were things I was supposed to have. My first post about fitness was this one on July 14 2011. It is really not bad for a first fitness post. I thought I would look back and cringe (maybe I did at my graphics) but I started off OK. There were plenty of other posts to cringe at over the years. 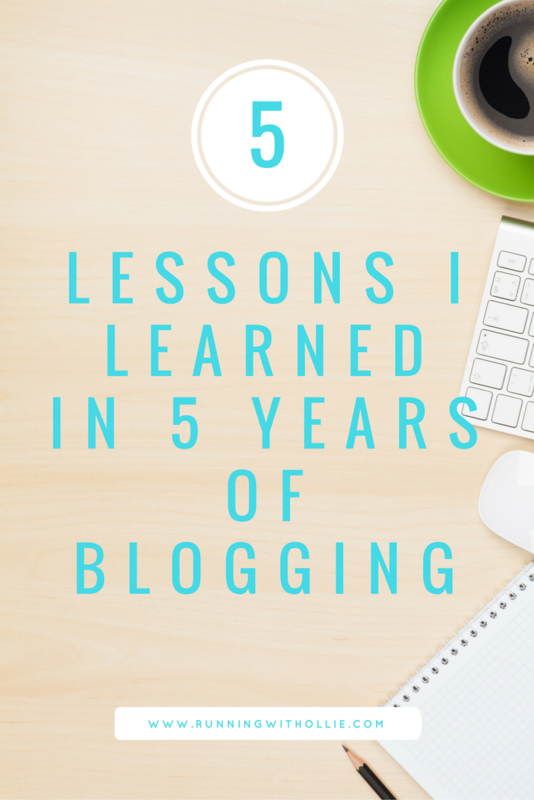 I learned a lot in five years of fitness blogging and I realized as I was writing it that the things I learned about blogging are also important life lessons. It's my blog. Of course it's about me. right? Yes and no. I realized pretty quickly that people don't care about me. Not really. It's human nature. People care about themselves. If I wanted people to read my blog and return to read more, I couldn't just blab on about myself all the time. I had to either inform or entertain. People don't care about my latest PR (personal record), they care about what they can learn from it in order to achieve their own PR. They don't care about my race experience, they care about what to expect before they run it themselves. They don't care if I lost 10 pounds, they want to know how I did it so they can try to apply it to their own lives. They don't really care that I $hit my pants on a long run, but they sure enjoyed laughing about it. I'm not saying people are jerks. They are not (well most of them). It is just that people are too busy to read blogs about nothing so it is important to share information that is relatable, informative or entertaining. I had no idea back then that there were blogging communities and maybe in 2009 there weren't. 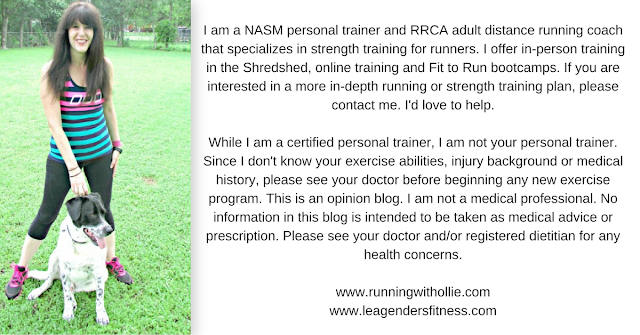 Around the time I started 'Running for Dummies' in 2011 I learned about the Fitfluential and Sweat Pink fitness blogger communities. In the early days of these groups I made many blog friends that I am still friends with today. 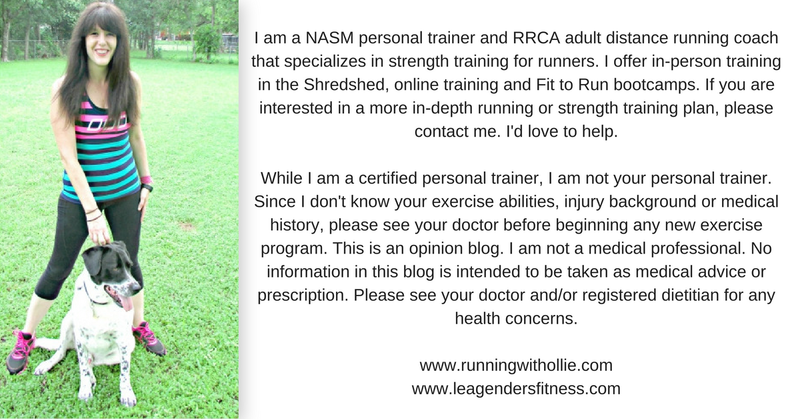 I learned so much about fitness blogging from the people that were already doing it and the people like me that were just learning to navigate the blogging world. Today Facebook is inundated with blogging groups from every niche imaginable, it is almost overwhelming. I am grateful to have been part of my online fitness communites when they were smaller and more personable. They are still great, but they have grown so much over the years that they naturally have changed and evolved into something much bigger. The connections I made in the early years mean a lot to me, especially the people I eventually met in-person at races, events and conferences. Just like anything in life, you get what you give. If you live in a blogging bubble and just pump out content without ever engaging with other bloggers, you'll never get anywhere. It really goes back to both of my previous points. It is not all about me. I have to get out there and see what everyone else is doing, leave thoughtful comments on blogs and share great content from other bloggers. Engaging with other bloggers is critical to success of a blog because you can't do it alone. People are starting new blogs every day. They start blogs with good intentions and then sometimes they naturally fall off and fade away. What is the difference between someone like me who has been blogging for five years and someone who lets a blog go after six moths because life gets too busy? Passion. 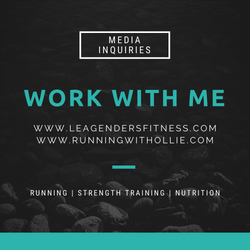 I have a passion for writing, fitness and blogging. Someone once asked me "Don't you ever just not feel like doing it?" If I ever truly didn't want to do it anymore I would stop. This isn't my career. My mortgage payment doesn't depend on this blog. I do it because I love it. It's a hobby, a part-time job and passion rolled into one. It is a ridiculous amount of work, so much more goes into it than just the writing. But it is a work of passion. It is my creative outlet. I get so much personal fulfillment from this blog that I don't get from my day job or anywhere else. Sure, like anything, there is an ebb and flow to it. There are times I am less motivated and step away for a short time, but I always come back. I can't imagine my life without blogging. I often wonder what I did with my life before 2009, I honestly can't remember. These days I watch people in those Facebook blogging groups freak out about launching a new blog. They want to have two months of flawless content ready, a logo, a mailing list opt-in download and a solid SEO strategy. There is nothing wrong with striving for the best but I read these threads and am grateful for my ignorance in the beginning. I didn't know about Google analytics, unique monthly page views or SEO. I wasn't comparing the success of my blog to other more established blogs. I didn't even know what success in blogging meant. I didn't know anything, but one day I started and I figured it all out along the way. I did some stupid things and made many mistakes over the years, but day by day, I learned just about everything I needed to know to run a successful blog. It wasn't perfect then and it is certainly not perfect now, but every day it gets a little better. I didn't worry about launching with the perfect blog. I launched my blog and perfected it (on my terms) over the last five years. Then I took what I learned about blogging here and applied it to my new blog on www.leagendersfitness.com. Just imagine how much better I'll be with five more years of learning and evolving under my belt. Blogging taught me an important life lesson. A lesson that I am applying in my own fitness business. You don't have to know everything to start. You just have to start. You learn along the way. You make mistakes. You keep moving forward. You keep getting better. You fall. You get back up. Not knowing is OK. Not starting because you don't know is NOT OK.